If you are a member, but not getting regular emails from us with details of events and other information, please email us on norwichbatsurvey[at]gmail.com to check that we have the correct email address for you. 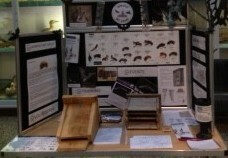 If you would like to learn more about bats or want to express your support for bat conservation we would welcome your membership. As a member you will be kept up to date with details on events and training opportunities. We organise walks and talks throughout the year. If you are interested in joining please email us on norwichbatsurvey[at]gmail.com or download a membership form and bring it along to any of our meetings. We do not charge membership fees although there are various costs incurred by the group, and as such a donation would be greatly appreciated. Should you wish to donate please click on the link on the right of this page. Thank you for your support. Please see our Membership page or Submit your records page. For general queries, go to our Contact us page. What bats do you have?